There is natural beauty around every corner in Southern Utah. Whether you go for a hike in Zion National Park or cast a line into Panguitch Lake, you’re never far from an unusual rock formation or a stunning landscape. While you may think that it can’t possibly get any prettier, the southern region of the Beehive State surprises you once again. Once you experience a night of stargazing in Southern Utah, you will never look at the night sky the same way. A breathtaking array of colors paint an unbelievable backdrop for the stars, creating an aura unlike any you will ever see. While it may be tough to top a night of stargazing, you can consult our free Vacation Guide for more activities, events, and attractions in the area! For an immersive Southern Utah stargazing experience, you should attend the annual Bryce Canyon Astronomy Festival. During this four-day event, amateur astronomers from the Salt Lake Astronomical Society team up with Bryce Canyon Rangers to lead an expansive public stargazing festival. Offering everything from famous speakers and planisphere workshops to constellation tours and solar viewing, this happening is exciting for attendees of all ages! After a thrilling night of stargazing in Southern Utah, you’ll want a cozy place to relax. With properties in several towns, Family Time Vacation Rentals is sure to have the perfect property for you. Whether you’re traveling with a small family or a large group of people, we can accommodate you. Check out our properties near national parks to stay close to all the activities you want to experience. Once you’ve experienced stargazing in Southern Utah and learned some basic telescope techniques, you can return to Bryce Canyon for another unique excursion. Led by knowledgeable park rangers, Full Moon Hikes take small groups down into the canyon for a trek through the park by the light of the moon. Since groups are kept small for safety reasons, the park requires tickets for most hikes. Cedar Breaks National Monument has plenty of fantastic spots for Southern Utah stargazing around the park. The 2,500-foot natural amphitheater is the perfect setting to watch the night sky unfold before your eyes. Unlimited views from atop the towering plateau are hard to match, even with all of the natural riches in the area. The Kolob Canyons in Zion National Park provide guests with an unbelievable natural frame for stargazing. The red rocks gently reach up into the sky giving photographers and viewers a beautiful color contrast. Navajo Lake in Dixie National Forest gives guests a wonderful multi-dimensional Souther Utah stargazing experience. Few sights are as spectacular as the night sky reflecting off of the water’s surface with the tips of towering spruce and pine trees serving as mirrors frame. Choose Your Family Time Vacation Rentals Home! Your dream vacation home is waiting for you in Southern Utah! Family Time Vacation Rentals has an extensive list of properties in a variety of locations so you can be close to the areas that you want to explore! Whether you wish to see to go biking in Cedar City or ATV riding around Duck Creek, you’ll never run out of things to do here! 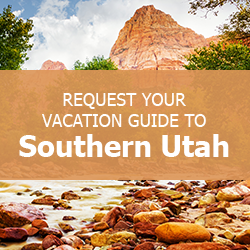 Start planning your Southern Utah getaway by booking your rental property today! We look forward to meeting you!